Penny has been an innkeeper for over 12 years and delights in providing her guests with wonderful hospitality. 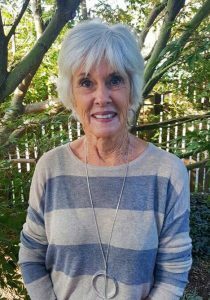 When Penny isn’t busy pampering her guests, you can find her on a leisurely walk downtown, playing pickleball at the park, reading a good book, or visiting family. She is eager to welcome you to her beautiful home!